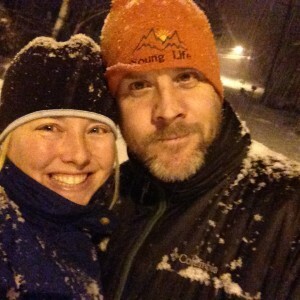 Snow walk late last night. Today’s column in The Greenville News is particularly appropriate, even if I date myself. When I wrote it, my girls had missed four days of school due to snow, ice, and brutal cold: today marks the ninth school day they’ve missed. Still, I wouldn’t give up these days in the snow with them for anything! This entry was posted in Uncategorized and tagged Katherine Scott Crawford, newspaper column, parenting, SC, school's out, snow, snow days, Southern snow, The Greenville News, weather, WNC, writing. Bookmark the permalink.